DD to use Hotbird satellite footprint for Indian people in Europe, West Asia, Africa and Australia. DD International Channel globalization. In an attempt to enhance the global presence of the DD brand in India, the Doordarshan international channel will soon available for viewers in Europe, Africa and Australia with the public broadcaster has signed an agreement with the federal government agency German radio wave (DW). A Memorandum of Understanding signed on Tuesday between Prasar Bharati and DW, so that the distribution of the India-channel on Hotbird satellite DTH platform-13B via a mode of basic package "free-to-air". Prasar Bharati CEO Jawhar Sircar said an advisory group was formed to provide content for the international Doordarshan TV channel which perhaps led by the Minister for Foreign Affairs. The letter of intent includes the distribution of India Channel on Hotbird satellite DTH platform-13B - which has a number of viewers across continents and the mutual distribution of DW-TV in DD Freedish DD direct plus dth. 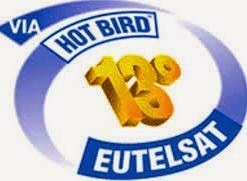 Hotbird-13B is a DTH platform which has a reach of 120 million households across Europe, North Africa and the entire Middle East with 1,543 television channels, of which 1,117 are free to air. "The MoU will allow Doordarshan to improve their global reach at minimal costs. It's a win-win situation for both stations," said an official. Meanwhile, when asked at the press conference, where spokesman Syed Akbaruddin MEA was also present tie-ups, as if DW were part of an exercise to the Prime Minister Narendra Modi in the project world, so AMA spokesman modi ask all projections and already the global leader. An advantage of the matter is that for the first time in the history of DD, DD-India mode will be in the platform base package free-to-air DTH in Europe and the Arab countries.